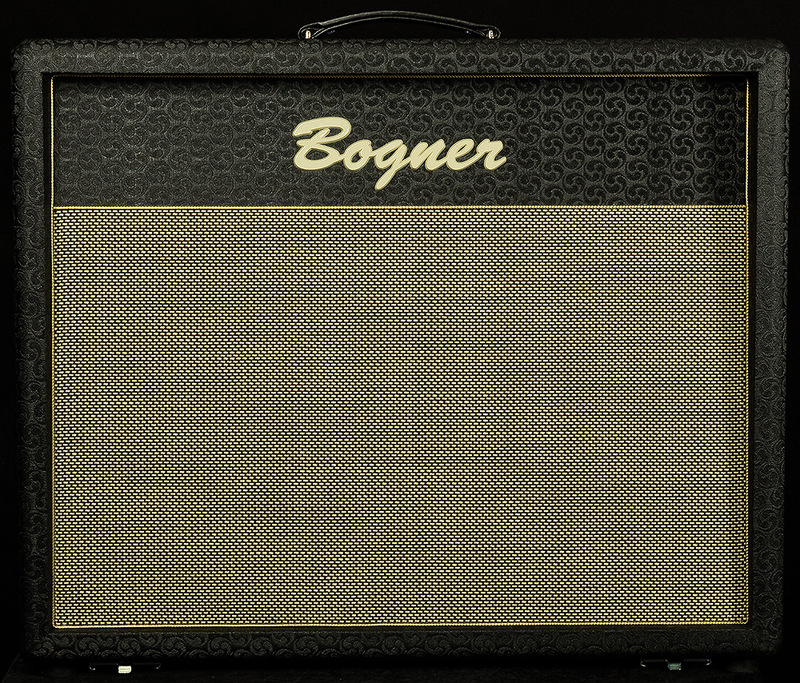 Bogner 2x12 rivals most 4x12's in sound coverage with the advantage of being easily transported. 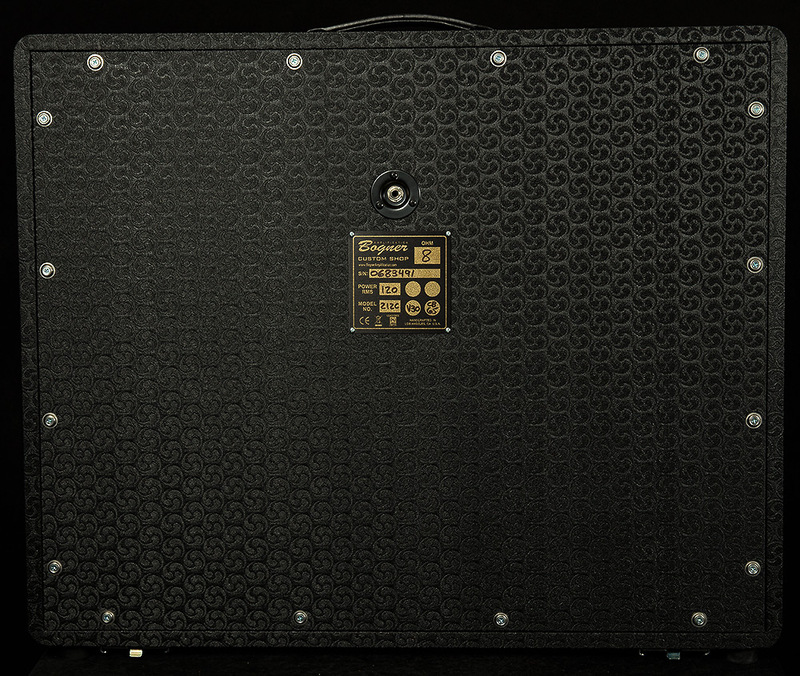 A fixed slightly angled baffle board, with screwed on grill frame, matches the construction of our 4x12 straight cabinet. In addition to the two metal bar side handles there is also a top handle and casters that are removable via a sliding base-plate. 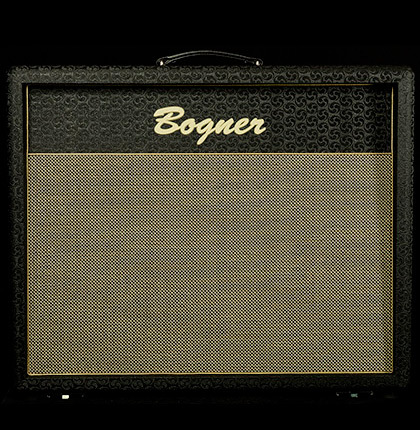 Compared to a more traditional sized 2x12 the increased internal cabinet volume results in an unparalleled hugeness of sound. These 2x12 cabinets are quite flexible and can easily be converted to open or closed back with our optional rear panels that are available separately. Loaded with a Celestion V30 and Creamback 65 wired in parallel to 8 ohms.